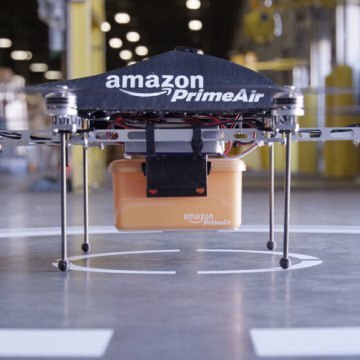 "PrimeAir" is the name of Amazon's concept drone delivery fleet. Will spotting Amazon's fleet of "Prime Air" drones soon be "as normal as seeing mail trucks on the road today"? That's what Amazon is saying, after CEO Jeff Bezos explained Sunday that the company would, in the future, deliver packages by quadcopter. However, that future may be a bit further out than the revolutionary retailer can say. Coming from a company that employs robots in its warehouses, the drone vision isn't too surprising. And sure, delivery drones are already a reality: The Marine Corps have been using two remote-controlled K-MAX helicopters to deliver supplies in Afghanistan. It was so successful that the military extended their deployment indefinitely in 2011. But while they may be welcome in countries with little or no infrastructure, delivery drones flying through tightly regulated skies over the world's biggest cities present a logistical nightmare, and are, to date, mostly wishful thinking. Newspaper delivery drones in France? A prank. Pizza delivery by Domino’s drones? A PR gimmick. TacoCopter? A hoax. The drone that tried to deliver contraband into a Georgia prison? Busted. "A quadcopter airlifting you the next iteration of '50 Shades of Grey,'" is "going to be a gimmick” at least "for the next five years," Drunken Predator Drone, the persona behind the parody Twitter account @DrunkenPredator, wrote to NBC News in a surprisingly lucid email. Sober responses came from other experts as well: "If the FAA Roadmap is an indication of where the regulations are going to be in the future ... then I think Amazon is going to have a difficult time using the tech for delivery,” said Brendan Schulman, a lawyer at the firm Kramer Levin Naftalis & Franke in New York. Schulman should know: He's defending the first person sued by the FAA for using a drone commercially. When will we get deliveries by drone? Not sooner than 2015. That's Amazon's intended launch year, and — not coincidentally — that's when the Federal Aviation Administration is scheduled to draft preliminary regulations to guide the deployment of small unmanned autonomous flying robots into the U.S. airspace. Ryan Calo, professor of law at the University of Washington, told NBC News that he expects the timeline to be a bit more stretched out, but that drone delivery would be "routine within five years." "I think it’s a matter of working with the FAA to make sure it’s secure — not just for local but long-haul delivery," he said. Schulman is more pessimistic. He points out that the FAA is not keen on the kind of autonomous long-range flight that Bezos discussed. "The early indication is that those flight (types) are not going to be permitted at all," Schulman told NBC News — at least not initially. Who will drive the drones? It seems like piloted drones, controlled remotely by humans, will take off sooner than their brainier self-piloting cousins. But how we pick the pilots that make the safest drone controllers is still being debated. How much will deliveries cost? Will Amazon Prime members get free drone delivery with their annual subscriptions? Will regular customers get drone service if they spend enough on the site? If the first delivery drones to go up are piloted, the cost of hiring humans to do the flying might not make the exercise worthwhile. Will humans even want this? Maybe, but maybe not. The town Deer Trail, in Colo. is seeking to issue hunting licenses for drones and one resident is even offering drone hunting lessons. In February this year, citing privacy concerns, the mayor of Seattle — where Amazon is based — shut down the city police department’s drone program. The cops returned their crafts even though in other parts of the country, police drones are pitching in and helping out. Speaking of which, what happens if someone damages a delivery drone? And what if the drone runs into something and damages property? "It makes sense that there will be legal protection against knocking them out," Schulman told NBC News. And as for errant drones colliding with people? Existing tort law provides protection for those who are injured by flying objects, whether they be drones or golf balls. Schulman thinks there's room for debate about additional oversight when it comes to drones. In its new roadmap, the FAA has indicated an interest in "sense and avoid" technology, basic instinct for human pilots who avoid other aircrafts and flying things like birds. 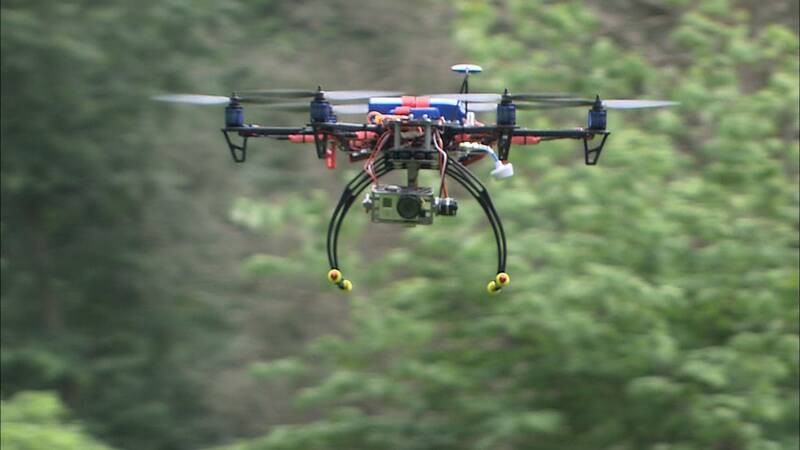 But some researchers say that technology for autonomous flight is in its infancy. 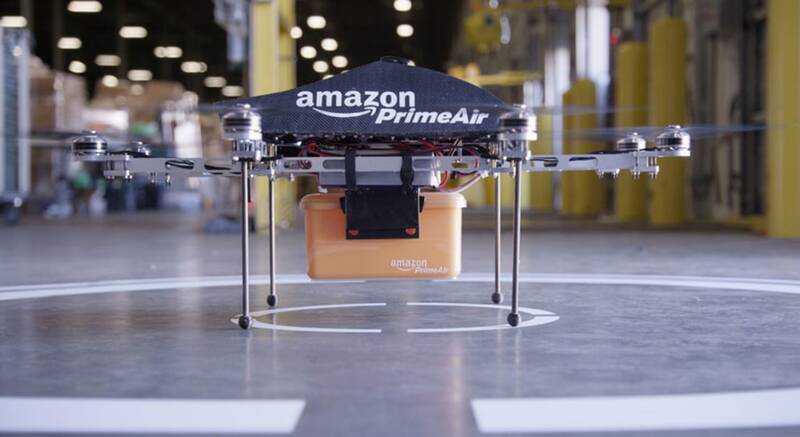 "As of right now, the major obstacle to deploying 'Amazon Prime Air' is the question of weight," Drunken Predator wrote to NBC News. "You need to carry batteries, GPS, your cargo, and most importantly, the Magic Sensor Box That Makes Us Not Crash Into Power Lines And Old Ladies (Which We Have Yet To Invent.)" Drunken Predator added that, "You need range (there and back), you need lift capacity, you need GPS guidance, collision-avoidance sensors, and you need a small computer brain." So no, the technology could use some maturing.